Chinese authorities in the northwestern region of Xinjiang are delivering pork to Muslim households during the Lunar New Year holiday, and forcing some Muslims to drink alcohol, eat pork, and display emblems of traditional Chinese culture, RFA has learned. Residents of the Ili Kazakh Autonomous Prefecture in the Xinjiang Uyghur Autonomous Region (XUAR) told RFA that officials had invited them to celebratory dinners marking the Lunar New Year at which pork was served, then threatening to send them to a “re-education” camp if they refused to take part. Photos sent to RFA also showed an official from Ili’s Yining city visiting Muslim households and distributing raw pork, in the name of helping the less well-off on Monday, on the eve of the Year of the Pig. An ethnic Kazakh resident of Altay’s Qinggil (in Chinese, Qinghe) county told RFA that the attempts to make Muslims eat pork had begun late last year. A Kazakh woman who gave only a single name, Kesay, said Muslims don’t usually celebrate Spring Festival, another term for the Lunar New Year using the traditional Chinese calendar and horoscope. Pork and alcohol are forbidden by Islam, and the celebration of Chinese festivals has roots in polytheistic folk religion, which includes Buddhist iconography. Muslims honoring such festivals risk committing the unforgivable sin of espousing more than one god. “If we won’t put up the couplets or hang lanterns, they they say we are two-faced, and they send us to re-education camps,” she said, adding that officials had begun delivering pork to around 80 percent of Kazakh households in Savan (in Chinese, Shawan) county, since the end of 2018. “Two-faced” is an epithet used by Chinese officials to target Uyghurs and other ethnic minority groups who protest or refuse to cooperate with recent events in the region, including the growing use of mass incarceration, the mass schooling of left-behind Uyghur children to speak Mandarin and embrace the Communist Party, and “unity” programs that forcibly billet Han Chinese officials in ethnic minority homes. A village chief from Qinggil county declined to comment directly on the reports, but confirmed that Kazakhs don’t celebrate Spring Festival. “They have their own festival to mark the start of spring on March 22,” the official said. 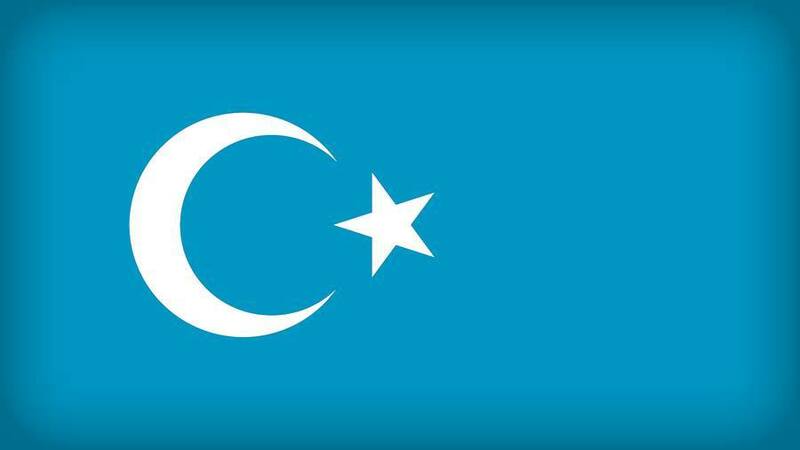 Dilxat Raxit, spokesman for the exile group World Uyghur Congress, said his organization has also received similar reports regarding Uyghur households. He said many of the officials are with the ruling Chinese Communist Party’s “stability maintenance” regime of domestic surveillance and control. Mass detentions in the XUAR have drawn significant attention from the international community, and particularly from the U.S., where lawmakers have called for access to the camps and proposed sanctions against officials and entities in China deemed responsible for abusing the rights of Uyghurs and other Muslim minorities. Earlier this month, Scott Busby, the deputy assistant secretary in the Bureau of Democracy, Human Rights and Labor at the U.S. Department of State, said there are “at least 800,000 and possibly up to a couple of million” Uyghurs and others detained at re-education camps in the XUAR without charge, citing U.S. intelligence assessments.